The World Only God Knows Episode 7: SCREENCAP INVASION!!!! Don’t worry, you’ll understand when you have finished this post. 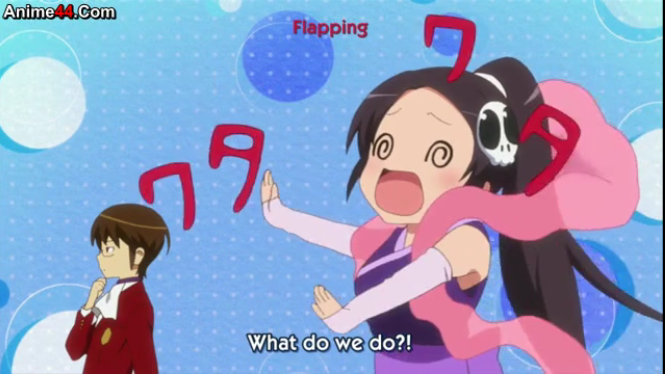 This episode just had so many screencap moments that I HAD to take and put in there. Now, onto the summary. 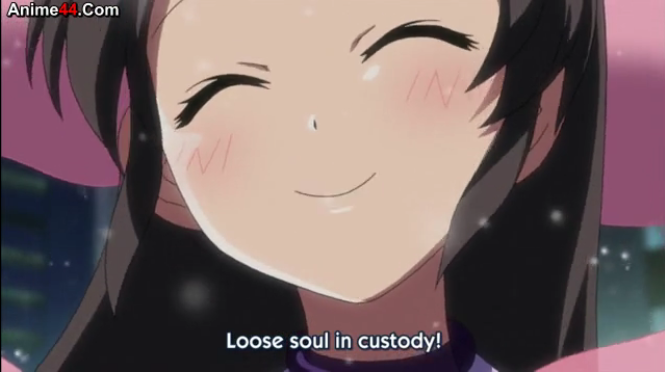 This episode explains the motive of Kanon’s disappearance. She has a huge confidence problem, and feels as though if people don’t watch and admire her she will disappear because she has no importance in life. Because this is the big concert, she is convinced that she is going to mess up and fail, and she’s afraid that people will stop looking at her. 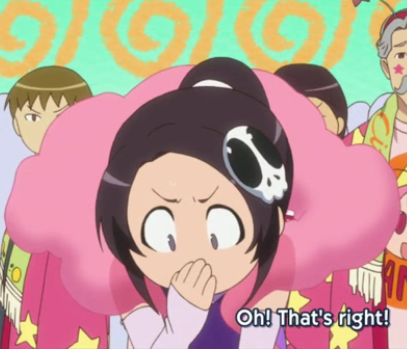 Most of the rest of the episode consists of Keima and Elci who are out looking for her, while Kanon walks around desperately, as transparent as a ghost. 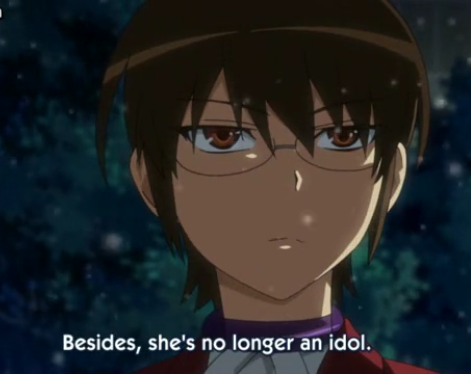 When Keima finally finds her, he puts her back in her place with a speech about her actual importance, and how she should stop relying on others in order to feel important. The final kiss then happens, and Kanon performs her concert really well. 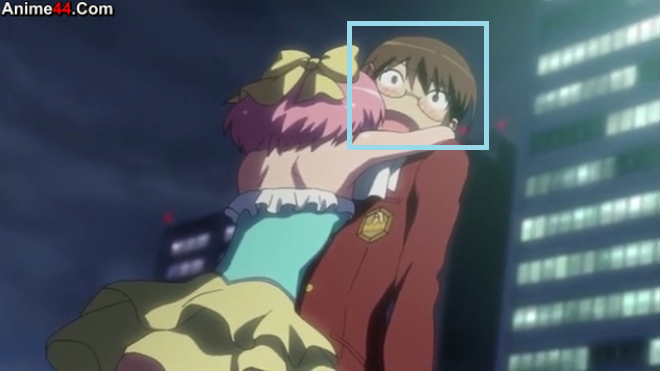 Keima’s sadness appears once again at the end of the episode, because he had actually started liking Kanon and she has forgotten about him ever since their kiss. 1) The actual storyline was very good. Although Kanon’s personality kind of pissed me off during the build-up, I really liked how they tied it up in the end and mixed it up with her complex. 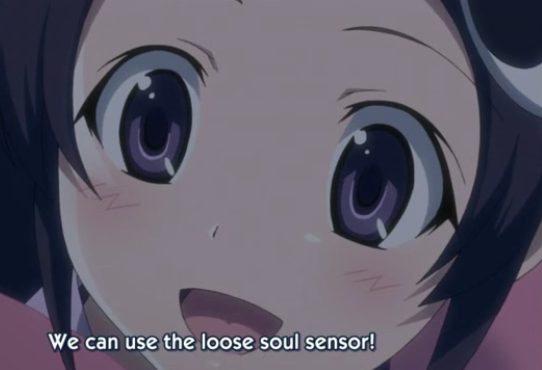 The ending was cute as usual, and I have to say that for an anime character, Kanon is made to look really cute. 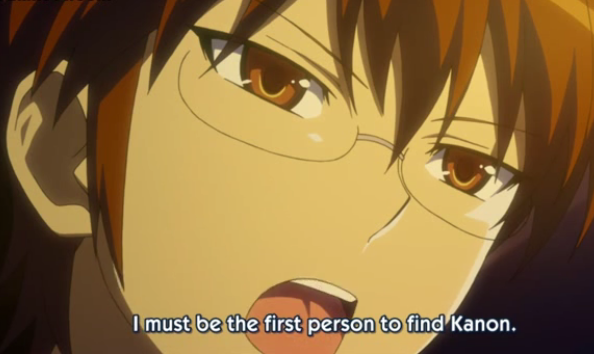 Her complex was really pushed to the limit but Keima’s final speech was, as usual, absolutely epic. 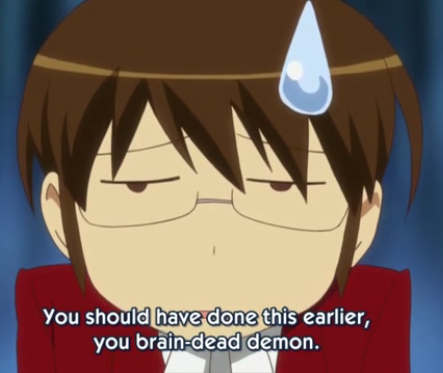 2) Talking about Keima, as a character I love that guy, and I feel really bad for him. We can definitely feel him becoming more open to these girls in real life rather than simply the ones in games, and I think that he’s slowly starting to realize that girls in real life aren’t so different from 2D ones. Every time, when he finishes releasing the loose soul, he starts feeling a little sad because he actually started liking the girl, and suddenly she doesn’t remember him anymore. This week was especially focused on that at the end of the episode. This show has always surprised me in that way, and it always will. 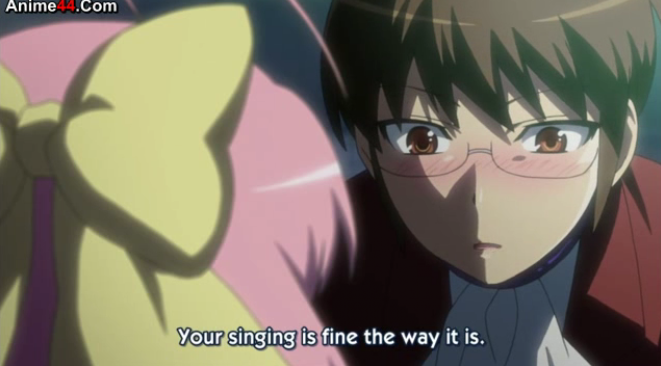 Every time I see something like this I can’t help but laugh and think “Oh Keima, you just make my day”. 3) Finally, she technically wasn’t the main focus of the story, but Elci’s cuteness was just so awesome that she simply deserves a whole number to herself, just for screencaps. She makes the cutest faces, and sometimes she just makes a bunch of clumsy mistakes and she’s just so cute. Tagged Currently Covering, episode 7, review, the world only god knows. Bookmark the permalink.